Hello, and welcome to Midweek Makers! Since today is the Fourth of July, I'm sending a Salute to the USA - Happy Birthday America! And so is Cheryl, who purchased the Salute pattern on Friday - this is her version, made with Stonehenge fabrics. This week I'm featuring three projects made with solids - and boy are they impressive! and from Terry Aske Art Quilts, this landscape scene. Do you have anything to share today? If so, great - link up! But if you're out enjoying the holiday, have a great time! 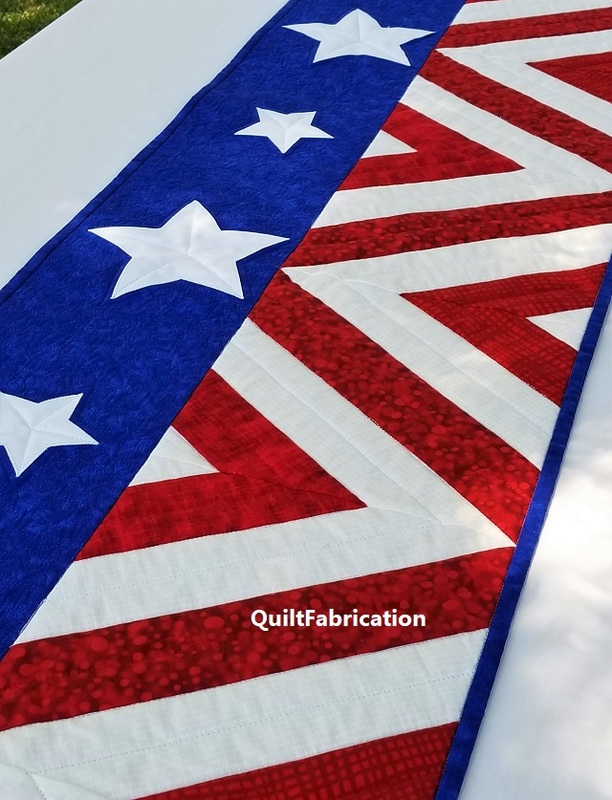 Lovely quilts. It's always fun to see what you feature. Thanks - I love to look for themes for features, as it makes it more fun! Happy 4th of July! :) Enjoy your holiday. Great link up - and features! 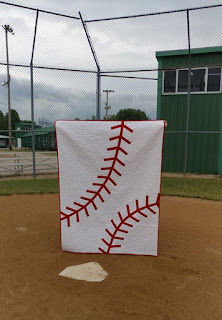 Those quilts are precious - just had to show my husband the baseball one! Thank you for hosting!